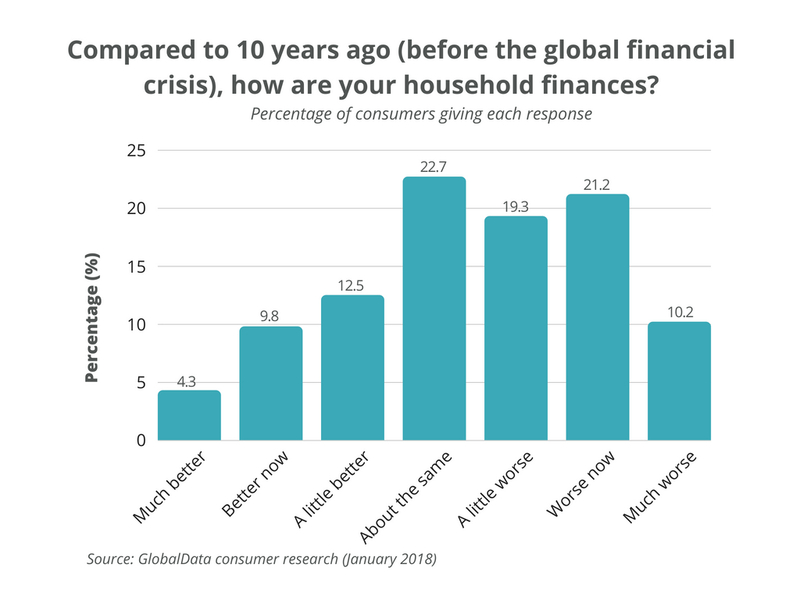 Although the American economy has grown steadily in the years since the financial downturn, more consumers than ever are concerned with making their dollars stretch as far as possible. We now live in a value-conscious nation. 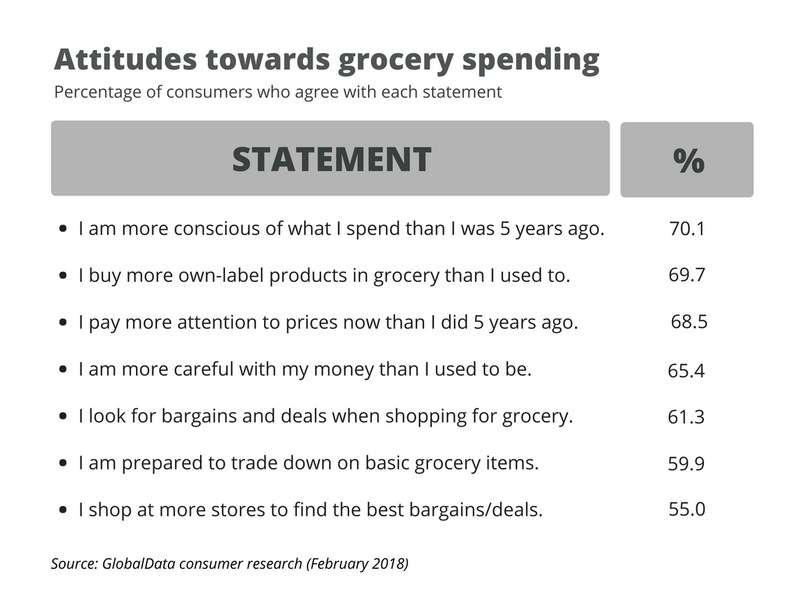 This frugality is evident across all retail sectors and categories, but it is most noticeable in grocery, thanks to the fact that food is a large slice of the household budget. The rise of value consciousness has significant implications for both retailers and CPG firms. There have always been segments of the population to whom value has mattered. Low-income families have long since used tactics such as coupon clipping to get the most out of their spend. However, the financial crisis, which started in 2008, was a wake-up call for many more Americans and created a level of value consciousness that had not existed for decades. At the time, there was an assumption that once financial turbulence subsided, most consumers would return to their more profligate ways. However, as the economy recovered and strengthened, this prediction did not materialize. Shoppers, including those in more affluent cohorts, remained stubbornly committed to seeking out value. There are several reasons for this permanence. The first is sluggish wage growth for many households, including middle-class families. As a result, in order to maintain living standards, Americans have had to be more careful in their consumption – saving money on basics so that they can still splurge on luxuries like new cars, vacations and meals out. The second is a prevailing attitude of “good is good enough.” During the downturn, shoppers found that trading down to store-owned brands or cheaper labels on things like laundry detergent and basic foodstuffs did not involve much sacrifice. As finances improved, people found no reason to change back, and this money-saving tactic has been maintained. The third reason is a general shift in attitudes that has made Americans more conscious of the things they buy and the prices they pay. In essence, consumers have become significantly more conscious and willing to search for the best prices and deals. The rise in the importance of value has been a boon for those retailers focusing on low prices. Nowhere is this more evident than in the dramatic rise of the ultra-low-price dollar store. Back in 2010, there were just shy of 24,000 dollar stores across the United States; by 2015, this number had risen to almost 30,000. And factoring in planned new openings, there will be around 33,600 dollar stores by 2020. 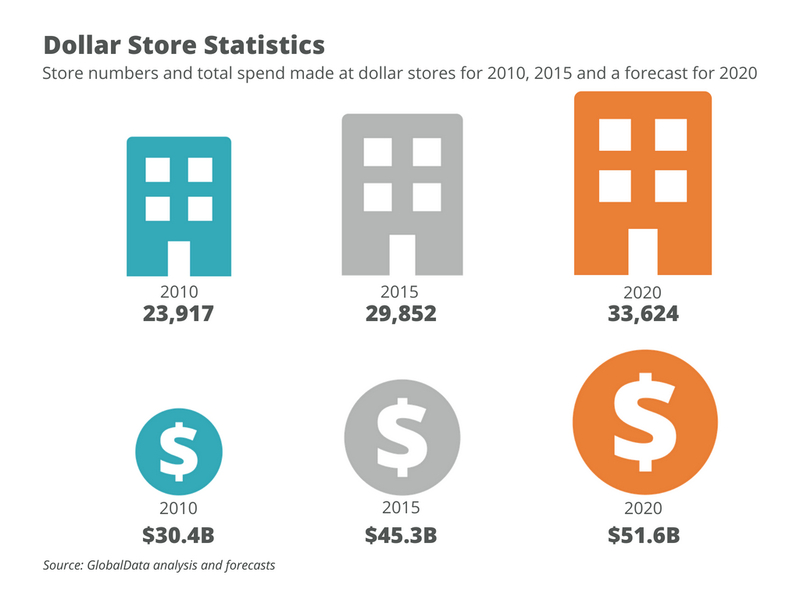 Spending at dollar stores reveals a similar trend, with total revenues growing from $30 billion in 2010 to a forecasted $52 billion by 2020. Over time, the dollar store shopper demographic has moved beyond just low-income families. Higher-income groups are shopping more at dollar stores now than ever before. 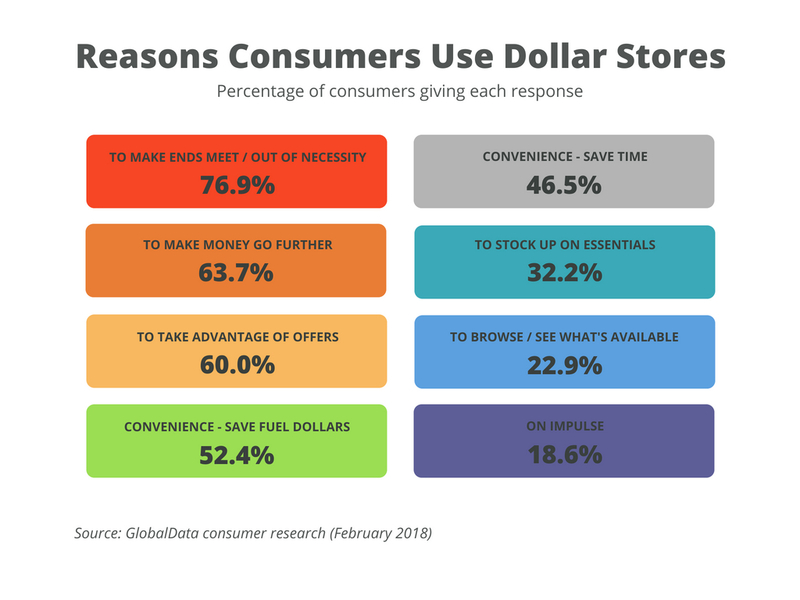 This is partly due to the fact that dollar stores are convenient and serve locations where other stores aren’t present, but it is also because people across the social spectrum are being savvy when shopping and saving money. The offer at dollar stores has shifted too. There are more branded grocery products in stores than there used to be, which is one of the reasons why the customer base has become broader. Another key evolution has been the addition of food – both fresh and frozen. This is something that dollar stores are have been keen to push, as it drives regular customer traffic and helps increase basket sizes. In addition to dollar stores, there has also been a rise of the deep-discount grocery format with the expansion of Aldi and the recent entry of Lidl into the U.S. market. The relatively one-dimensional pricing structure of these retailers has proved popular, as it is almost impossible for consumers to overspend. Value is capturing more market and customer share. As shoppers have used dollar and value stores for everyday grocery goods more, they have used supermarkets and mass merchants less. Value players have created price pressure in the industry, and supermarkets and CPG firms have had to cut prices on some lines to try and compete. The popularity of retailer own-labels is on the rise, and many grocers now use them to offer lower-price alternatives to the big national brands. The rise in the importance of value and the response of mainstream retailers have created pressure on big CPG players. However, the trends also provide an opportunity to rethink strategies so that they are more aligned with consumer demand. The growth of dollar stores and the fact that most consumers no longer see them as down-at-heel destinations mean that CPG firms should look to partner and grow business with this group of retailers. The traditional concern that being present in dollar or value stores might undermine perceptions of quality no longer applies. That said, CPG firms need to ensure that their low-price offering in value outlets is differentiated from the higher prices they may charge in mainstream supermarkets or retailers. This can be achieved by different pack sizes, exclusive formulations, or one-off special buys. The rise in retailer-owned labels, especially at entry price level, has several implications. First, to maintain volume and market share, CPG brands should look at their own price and product portfolio to ensure that they have an entry brand that has strong value-for-money credentials. Second, any product that is priced higher than entry level must very clearly justify the premium it is asking consumers pay. Third, some CPG firms can partner with retailers to manufacture own-label products, thereby mitigating the squeezes on their own volumes. Value consciousness means that consumers pay more attention to deals and special offers and are prepared to buy in bulk to secure discounts. CPG firms need to explore promotional strategies to ensure they are aligned with both saving consumers money and driving volumes. Unfortunately for both retailers and CPG firms, the value landscape is unlikely to disappear. Indeed, it will probably get acuter as mainstream retailers look to reduce prices to hold on to shoppers. With most CPG offers positioned squarely in the middle of the market, future success requires a strategic rethink and reposition.